15:22 Then Moses ordered Israel to set out from the Red Sea, and they went into the wilderness of Shur. They went three days in the wilderness and found no water. 23 When they came to Marah, they could not drink the water of Marah because it was bitter. That is why it was called Marah. 24 And the people complained against Moses, saying, “What shall we drink?” 25 He cried out to the Lord; and the Lord showed him a piece of wood; he threw it into the water, and the water became sweet. There the Lord made for them a statute and an ordinance and there he put them to the test. 26 He said, “If you will listen carefully to the voice of the Lord your God, and do what is right in his sight, and give heed to his commandments and keep all his statutes, I will not bring upon you any of the diseases that I brought upon the Egyptians; for I am the Lord who heals you.” 27 Then they came to Elim, where there were twelve springs of water and seventy palm trees; and they camped there by the water. 16:1 The whole congregation of the Israelites set out from Elim; and Israel came to the wilderness of Sin, which is between Elim and Sinai, on the fifteenth day of the second month after they had departed from the land of Egypt. 2 The whole congregation of the Israelites complained against Moses and Aaron in the wilderness. 3 The Israelites said to them, “If only we had died by the hand of the Lord in the land of Egypt, when we sat by the fleshpots and ate our fill of bread; for you have brought us out into this wilderness to kill this whole assembly with hunger.” 4 Then the Lord said to Moses, “I am going to rain bread from heaven for you, and each day the people shall go out and gather enough for that day. In that way I will test them, whether they will follow my instruction or not. 5 On the sixth day, when they prepare what they bring in, it will be twice as much as they gather on other days.” 6 So Moses and Aaron said to all the Israelites, “In the evening you shall know that it was the Lord who brought you out of the land of Egypt, 7 and in the morning you shall see the glory of the Lord, because he has heard your complaining against the Lord. For what are we, that you complain against us?” 8 And Moses said, “When the Lord gives you meat to eat in the evening and your fill of bread in the morning, because the Lord has heard the complaining that you utter against him—what are we? Your complaining is not against us but against the Lord.” 9 Then Moses said to Aaron, “Say to the whole congregation of the Israelites, ‘Draw near to the Lord, for he has heard your complaining.’” 10 And as Aaron spoke to the whole congregation of the Israelites, they looked toward the wilderness, and the glory of the Lord appeared in the cloud. 2:1 Rid yourselves, therefore, of all malice, and all guile, insincerity, envy, and all slander. 2 Like newborn infants, long for the pure, spiritual milk, so that by it you may grow into salvation— 3 if indeed you have tasted that the Lord is good. 4 Come to him, a living stone, though rejected by mortals yet chosen and precious in God’s sight, and 5 like living stones, let yourselves be built into a spiritual house, to be a holy priesthood, to offer spiritual sacrifices acceptable to God through Jesus Christ. 6 For it stands in scripture: “See, I am laying in Zion a stone, a cornerstone chosen and precious; and whoever believes in him will not be put to shame.” 7 To you then who believe, he is precious; but for those who do not believe, “The stone that the builders rejected has become the very head of the corner,” 8 and “A stone that makes them stumble, and a rock that makes them fall.” They stumble because they disobey the word, as they were destined to do. 9 But you are a chosen race, a royal priesthood, a holy nation, God’s own people, in order that you may proclaim the mighty acts of him who called you out of darkness into his marvelous light. 10 Once you were not a people, but now you are God’s people; once you had not received mercy, but now you have received mercy. 15:1 “I am the true vine, and my Father is the vinegrower. 2 He removes every branch in me that bears no fruit. Every branch that bears fruit he prunes to make it bear more fruit. 3 You have already been cleansed by the word that I have spoken to you. 4 Abide in me as I abide in you. Just as the branch cannot bear fruit by itself unless it abides in the vine, neither can you unless you abide in me. 5 I am the vine, you are the branches. Those who abide in me and I in them bear much fruit, because apart from me you can do nothing. 6 Whoever does not abide in me is thrown away like a branch and withers; such branches are gathered, thrown into the fire, and burned. 7 If you abide in me, and my words abide in you, ask for whatever you wish, and it will be done for you. 8 My Father is glorified by this, that you bear much fruit and become my disciples. 9 As the Father has loved me, so I have loved you; abide in my love. 10 If you keep my commandments, you will abide in my love, just as I have kept my Father’s commandments and abide in his love. 11 I have said these things to you so that my joy may be in you, and that your joy may be complete. 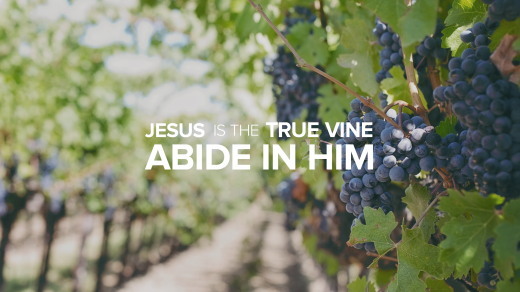 I am the true vine, and my Father is the vinegrower[...]Abide in me as I abide in you. 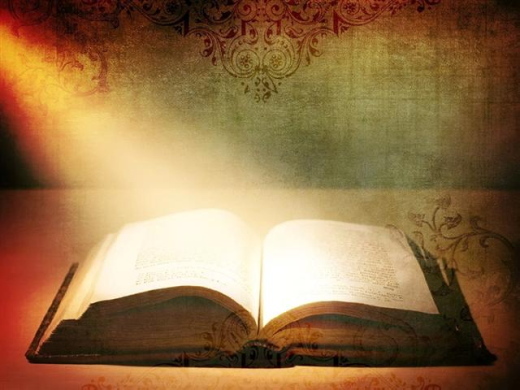 God our Father, you conquer the darkness of ignorance by the light of your Word. Strengthen within our hearts the faith you have given us; let not temptation ever quench the fire that your love has kindled within us. We ask this through our Lord Jesus Christ, your Son, who lives and reigns with you and the Holy Spirit, one God, for ever and ever. James 2:26 (NIV) As the body without the spirit is dead, so faith without deeds is dead. Rahab had everything going against her—including her name, which was associated with an Egyptian deity. Rahab was an immoral woman, a prostitute. But she was the perfect candidate for the grace of God. When spies from Israel came to check out the city of Jericho, Rahab hid them on her roof because she believed in the Lord their God. She told them, “For the Lord your God is God in heaven above and on the earth below” (Joshua 2:11). The Bible says that “so faith without deeds is dead” (James 2:26). Rahab showed evidence of her faith by her actions. Another indication that Rahab was a real believer was the fact that she cared about her family. She believed judgment was coming. She told the spies, “Now then, please swear to me by the Lord that you will show kindness to my family, because I have shown kindness to you. Give me a sure sign that you will spare the lives of my father and mother, my brothers and sisters, and all who belong to them—and that you will save us from death” (Joshua 2:12–13). God our Father, you conquer the darkness of ignorance by the light of your Word. Strengthen within our hearts the faith you have given us; let not temptation ever quench the fire that your love has kindled within us. We ask this through our Lord Jesus Christ, your Son, who lives and reigns with you and the Holy Spirit, one God, for ever and ever. Amen. Scripture taken from the Holy Bible, New International Version®, NIV® Copyright ©1973, 1978, 1984, 2011 by Biblica, Inc.® Used by permission. All rights reserved worldwide. Devotion taken from Harvest Christian Fellowship; all rights reserved. Does your family know you're a believer? Here's why it's important. El corazón es un músculo. Girlfriends in God - If You Feel Like a Hot Mess, You’re Not Alone! This righteousness is given through faith in Jesus Christ to all who believe. There is no difference between Jew and Gentile, for all have sinned and fall short of the glory of God,and all are justified freely by his grace through the redemption that came by Christ Jesus. Miriam had a bout of jealousy and tried to usurp her brother’s God-appointed position (Numbers 12). Jonah hopped on a boat and headed in the opposite direction when God called him to go to Nineveh (Jonah 1:1-3). Samson fell for the whims of a Philistine woman and gave away the secret to his strength (Judges 16). David committed adultery and murder and then tried to cover it up (2 Samuel 11). You know what’s amazing? Most of these men and women are listed as people of great faith who “conquered kingdoms, administered justice, and gained what was promised; who shut the mouths of lions, quenched the fury of the flames, and escaped the edge of the sword; whose weakness was turned to strength; and who became powerful in battle and routed foreign armies” (Hebrews 11:33-34, emphasis added). We have a great cloud of witnesses who can identify with failure. We are never alone in that regard. Oh, friend, failure doesn’t have to be fatal or final. During a time of failure, the Enemy will tell you to quit trying, that you’re hopeless, worthless, and powerless to succeed. Don’t believe him. Reject the lie and replace it with truth. 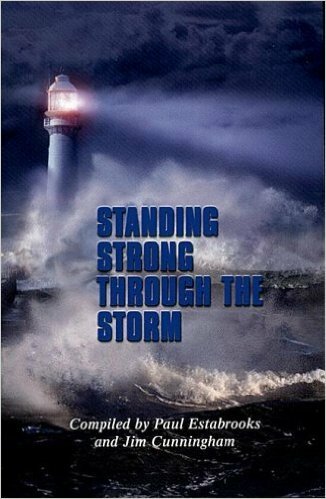 “No, in all these things we are more than conquerors through him who loved us” (Romans 8:37). 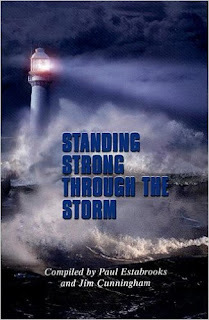 “I can do everything through Christ, who gives me strength” (Philippians 4:13 nlt). God said, “My grace is sufficient for you, for my power is made perfect in weakness” (2 Corinthians 12:9). Learn from your failure under the tutelage of the Holy Spirit, and then move on. Nothing makes the devil madder than a child of God who fails, gets back up, and tries again with the power of God moving him or her forward. The next time you feel like you have the power of God moving him or her forward. Recognize the lie: I’m such a failure. Replace the lie with truth: I can do everything through Christ, who gives me strength (Philippians 4:13 nlt). God, help me to learn from my mistakes and move on. Help me not to get stuck in the mire of my mistakes or the senselessness of my sin, or the remorse of my regret, but to move forward with the reassurance of Your complete forgiveness, mercy, and grace. I don’t deserve it. I thank You for it. If you’ve been sitting on the bench in your spiritual life—not getting in the game because you feel like you’re not good enough—what do you think Jesus would say to you right now? 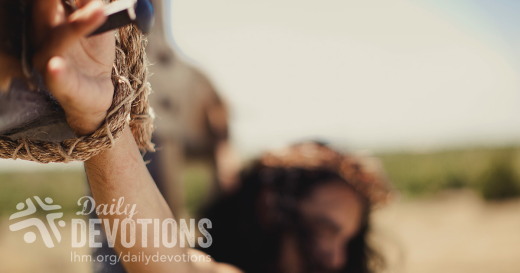 This week, take some time to go back and look up some of the stories I’ve mentioned in this devotion. Let God speak to you about how He used them, in spite of their weaknesses. "He Gave up His Spirit"
"As I looked out my window last night, I saw the moon shining in the heavens, and I thought about it shining on my husband's grave. For a moment I was lonesome. But then I thought, no, my husband isn't there. I thought to myself, yes, son, how true! And he has seen Peter and Paul and Martin Luther and John. But, most importantly, he has seen Jesus." So that a widow might be comforted in the knowledge that her husband is not in a lonely cemetery grave or in an eternal fiery punishment, that is why Jesus died. So that a child might be comforted by the knowledge that his father had gone ahead of him and was seeing the Savior, that is why Jesus died. Scripture says Jesus gave up His Spirit. It is important to note that Jesus' life wasn't taken from Him. Blood loss from His whipping and beatings didn't slowly take their toll until His heart could no longer keep going. Most certainly the nails didn't bleed Him to death. The Roman spear didn't snuff out the last bit of life. Jesus gave up His Spirit. He, Himself, had said it would be so. In John 10, He told His disciples, "For this reason the Father loves Me, because I lay down My life that I may take it up again. No one takes it from Me, but I lay it down of My own accord. I have authority to lay it down, and I have authority to take it up again. This charge I have received from My Father." Jesus voluntarily sacrificed Himself so that you would never have to die. He gave the most precious gift of all -- His life -- so that when death pays a visit, we may be sure that death has lost its sting, and the grave no longer will be triumphant with those who leave this life with faith in the Lamb of God who takes away the sins of the world. Of course, Jesus' death would be meaningless without the resurrection which took place three days later. If Jesus had just pronounced "It is finished" and breathed His last, that would have made Him one of us. After all, all of us will die. That which makes Jesus different is the resurrection. Because Jesus was able to take up His life again, He proves His uniqueness. He gives evidence that His work has been accepted, and He offers assurance that his faith-filled followers will also rise to be with Him forever. Those Scriptural realities are the Lord's assurance for those who are leaving this sinful world of sorrow, and they are the Lord's comfort for those who are left behind. THE PRAYER: Dear Lord Jesus, nobody has ever done for me what You did. You took the punishment that I, by my sins, deserved. For this I thank You. Now, help me share this Good News with others. In Your Name I ask it. Amen. Si le preguntara cuál es la decisión más importante que ha tomado en su vida, ¿qué respondería? ¿Sería quizás la profesión o el oficio que eligió, o la persona con quien se casó, o el irse a vivir a otro lado? Son tantas las decisiones que debemos tomar a lo largo de nuestras vidas, que no es fácil elegir una como la más importante. De acuerdo a una noticia de la NBC, a "Hal" Halvorsen no le resulta difícil elegir. Hal dice que la decisión más importante que tomó en su vida fue repartir dulces. En realidad, lo que hizo fue repartir dulces a los niños aislados en Berlín Oriental. Después de la II Guerra Mundial, los rusos trataron de tomar control de Berlín Oriental, aislándolo del resto del mundo. Las rutas fueron cerradas y los trenes dejaron de andar. En poco tiempo, la ciudad de dos millones de habitantes se encontró en serios apuros. Para salvar la ciudad, la fuerza aérea de los Estados Unidos decidió abastecerla por el aire. En el tiempo que pasó hasta que el bloqueo ruso fue levantado, 227.569 vuelos aterrizaron en el aeropuerto de Berlín. Los habitantes de Berlín estaban contentos con el plan norteamericano, pero más contentos aún se pusieron cuando semejante operación aérea se convirtió en algo personal. Hal, junto con otro pilotos, aprovechaban cada viaje para tirar dulces atados a pequeños paracaídas, para ser repartidos entre los niños. Esa fue la decisión más inteligente que Hal pudo haber tomado. Recibieron cientos de cartas de agradecimiento. Una niña pequeña le dio a Hal lo único que tenía: un osito de peluche gastado por el uso, y le dijo: "Quiero que lo tengas para que te cuide a ti y a los otros pilotos cuando vuelan a Berlín". Si lo pensamos bien, la decisión más importante en la vida de Hal fue armar un plan de salvación. No sé si Dios diría que la promesa de enviar a su Hijo a salvar a la humanidad pecadora fue su mayor decisión, ya que la creación ciertamente también podría serlo. Pero sí sé que, en la persona de Jesucristo, el plan del Padre para salvarnos se hizo carne y personal. En Jesús puedo ver que mis pecados son perdonados y mi condenación es cancelada. 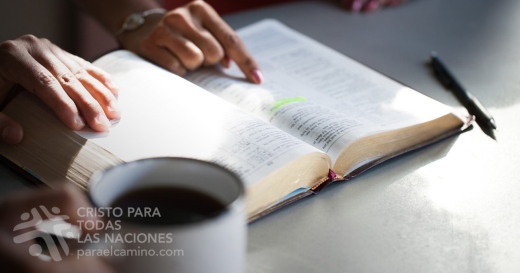 La gran gracia de Dios recibió un nombre: Jesús. Si usted no tiene un osito de peluche para mostrar su agradecimiento al Señor, permítame decirle lo que Lutero sugiere que podemos hacer en respuesta al amor del Salvador. El Reformador dijo: "debo darle gracias, alabarlo, servirle y obedecerle. Esto es ciertamente la verdad." 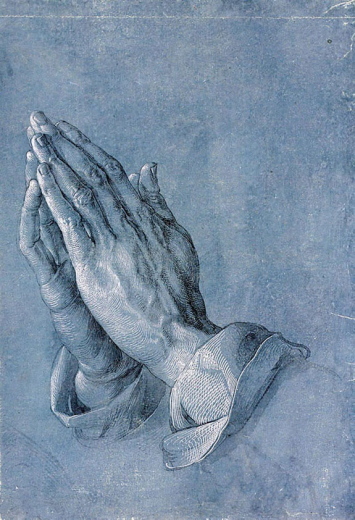 ORACIÓN: Padre celestial, te doy gracias porque por el sacrificio de tu Hijo puedo vivir sabiendo que mis pecados han sido perdonados y que tú has preparado un lugar para mí en el cielo. Ilumíname para que las decisiones que tomo en esta vida estén siempre de acuerdo con tu voluntad. En tu nombre. Amén. Si le preguntara cuál es la decisión más importante que ha tomado en su vida, ¿qué respondería? Ministérios Pão Diário - Para quem estou trabalhando? Henry trabalhava 70 horas por semana. Ele amava seu trabalho e seu bom salário proporcionava coisas boas à sua família. Sempre teve planos de desacelerar, mas nunca o fez. Certa noite, voltou a casa com uma ótima notícia — fora promovido ao cargo mais alto de sua empresa. Mas ninguém estava em casa. Ao longo dos anos, seus filhos cresceram e se mudaram, sua esposa encontrou uma carreira para si e, agora, a casa estava vazia. Não havia com quem compartilhar a boa notícia. Salomão escreveu sobre a necessidade de manter um equilíbrio entre a vida e o nosso trabalho: “O tolo cruza os braços e come a própria carne…” (Eclesiastes 4:5). Não queremos ir ao extremo de ser preguiçosos, mas também não queremos cair na armadilha de sermos viciados em trabalho. “Melhor é um punhado de descanso do que ambas as mãos cheias de trabalho e correr atrás do vento” (v.6). Em outras palavras, é melhor ter menos e aproveitar mais. Sacrificar os relacionamentos pelo sucesso é insensato. A conquista é passageira, mas os relacionamentos tornam a nossa vida significativa, gratificante e agradável (vv.7-12). Podemos aprender a trabalhar para viver, e não viver para trabalhar, escolhendo repartir o tempo com sabedoria. O Senhor pode nos dar essa sabedoria quando o buscamos e confiamos nele para ser o nosso Provedor. 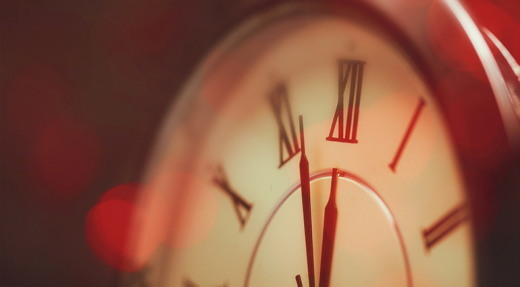 Para empregar o tempo com sabedoria, invista-o na eternidade.